"Wine & Spirits Magazine" has rated the wine "Abbazia di Novacella-Kloster Neustift Praepositus Blauburgunder-Pinot Nero Riserva Sudtiroler, Trentino-Alto Adige, Italy" from the vintage 2012 on 01.10.2016 with 89 of 100 points. "Falstaff Magazin" has rated the wine "Abbazia di Novacella-Kloster Neustift Praepositus Blauburgunder-Pinot Nero Riserva Sudtiroler, Trentino-Alto Adige, Italy" from the vintage 2012 on 06.07.2016 with 89 of 100 points. "Vinous Antonio Galloni" has rated the wine "Abbazia di Novacella-Kloster Neustift Praepositus Blauburgunder-Pinot Nero Riserva Sudtiroler, Trentino-Alto Adige, Italy" from the vintage 2012 on 01.05.2016 with 92 of 100 points. "Falstaff Magazin" has rated the wine "Abbazia di Novacella-Kloster Neustift Praepositus Blauburgunder-Pinot Nero Riserva Sudtiroler, Trentino-Alto Adige, Italy" from the vintage 2011 on 23.06.2015 with 91 of 100 points. 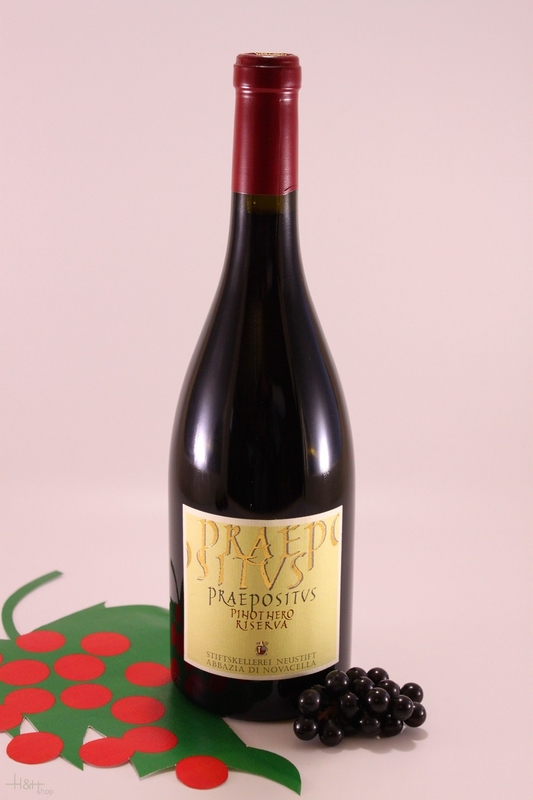 "Wine Enthusiast" has rated the wine "Abbazia di Novacella-Kloster Neustift Praepositus Blauburgunder-Pinot Nero Riserva Sudtiroler, Trentino-Alto Adige, Italy" from the vintage 2010 on 06.01.2015 with 89 of 100 points. "Wine & Spirits Magazine" has rated the wine "Abbazia di Novacella-Kloster Neustift Praepositus Blauburgunder-Pinot Nero Riserva Sudtiroler, Trentino-Alto Adige, Italy" from the vintage 2010 on 01.08.2014 with 92 of 100 points. "Vinous Antonio Galloni" has rated the wine "Abbazia di Novacella-Kloster Neustift Praepositus Blauburgunder-Pinot Nero Riserva Sudtiroler, Trentino-Alto Adige, Italy" from the vintage 2007 on 01.02.2011 with 92 of 100 points. "Wine & Spirits Magazine" has rated the wine "Abbazia di Novacella-Kloster Neustift Praepositus Blauburgunder-Pinot Nero Riserva Sudtiroler, Trentino-Alto Adige, Italy" from the vintage 2004 on 01.06.2008 with 86 of 100 points. "Wine Spectator" has rated the wine "Abbazia di Novacella-Kloster Neustift Praepositus Blauburgunder-Pinot Nero Riserva Sudtiroler, Trentino-Alto Adige, Italy" from the vintage 2003 on 30.06.2007 with 87 of 100 points. 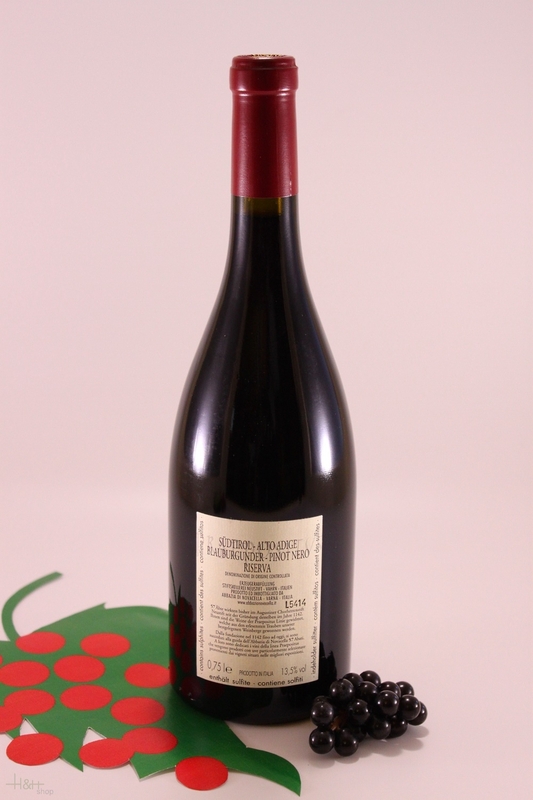 "Vinum Wine Magazine" has rated the wine "Abbazia di Novacella-Kloster Neustift Praepositus Blauburgunder-Pinot Nero Riserva Sudtiroler, Trentino-Alto Adige, Italy" from the vintage 1999 on 01.01.2002 with 15 of 20 points. "Vinum Wine Magazine" has rated the wine "Abbazia di Novacella-Kloster Neustift Praepositus Blauburgunder-Pinot Nero Riserva Sudtiroler, Trentino-Alto Adige, Italy" from the vintage 2002 with 15 of 20 points.